In this Amazon Niche Case Study, I’m trying to stay as transparent as I can. I share income numbers and traffic numbers. I also share my methods to get the shared results. You might have read some income reports on other blogs talking about the total income the site or the blogger makes. 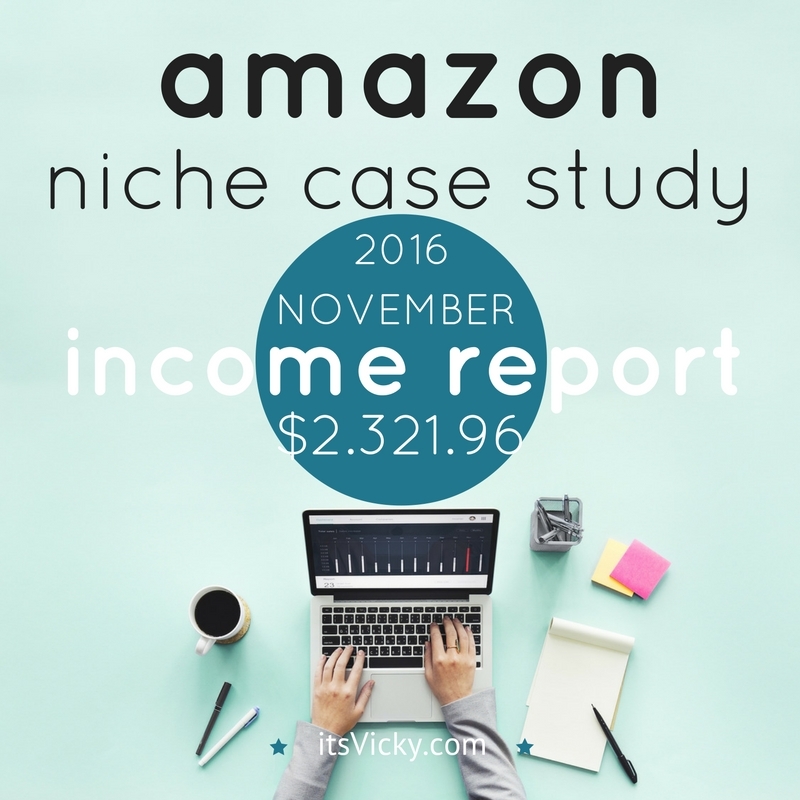 In this case, I have taken one of my niche sites monetized with Amazon products and share the progress with you. The reason I did that is that many of you, start out with a niche site and I wanted to give you something you can relate to. This will give you “real” numbers, very realistic numbers. Sure there are people making thousands of dollars monthly doing online marketing even with niche sites, and that’s great. The reality though for many is that they struggle to even make that $1 online. Is this you? To get to the thousands will take time, it just does not happen overnight. We will get there with this site as well, the difference is that you can follow along, see the ups and downs and the progress that we make. 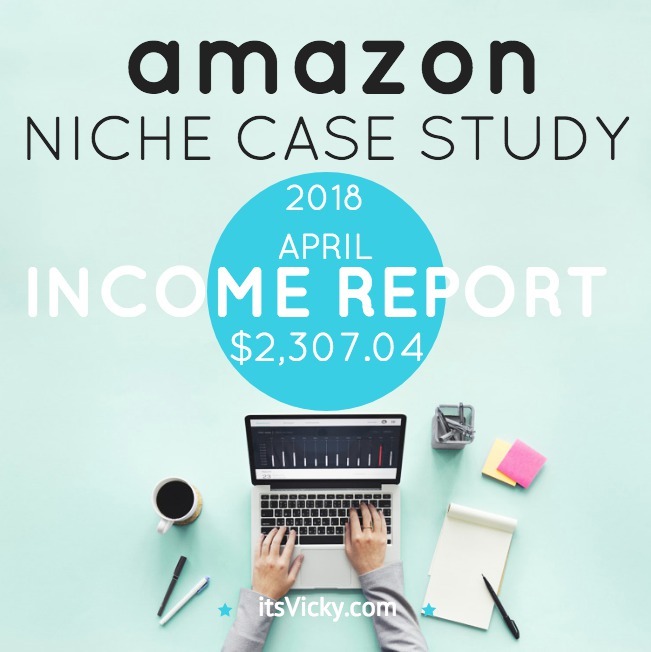 Numbers are gross income, click the image to read the full report with income, expenses and net profit from this one niche site. Join me on my case study journey!! Really Cool site. Easy to read and follow along. Thanks for the reports. Those are great motivators..
Congratulations! Thanks for sharing your report, I learned some techniques and got some ideas on how to make money as an amazon affiliate. I’m an affiliate of amazon for 3 months already, until now I havn’t made my first commission. Hopefully by reading your post, I can make it happen. Thanks again and take care always! Vicky, I just love how you do these case studies. I have found so much valuable information along the way and made several improvements to my sites. You are right in that it does take time to build these things up unless you get lucky, but who wants to count on that? 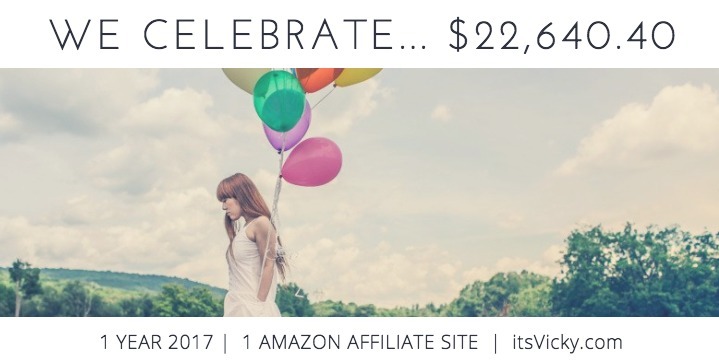 I really appreciate you sharing and taking the time to help other fellow affiliate marketers! That’s exactly why I’m doing this, to be able to share some of the things I learn on my affiliate marketing journey so that people like you James can benefit from it as well. It does take time, but it’s worth it. If you take the time, keep building and providing value the financial benefits will come along with it! Vicky, thank you so much for sharing this is just what I needed. 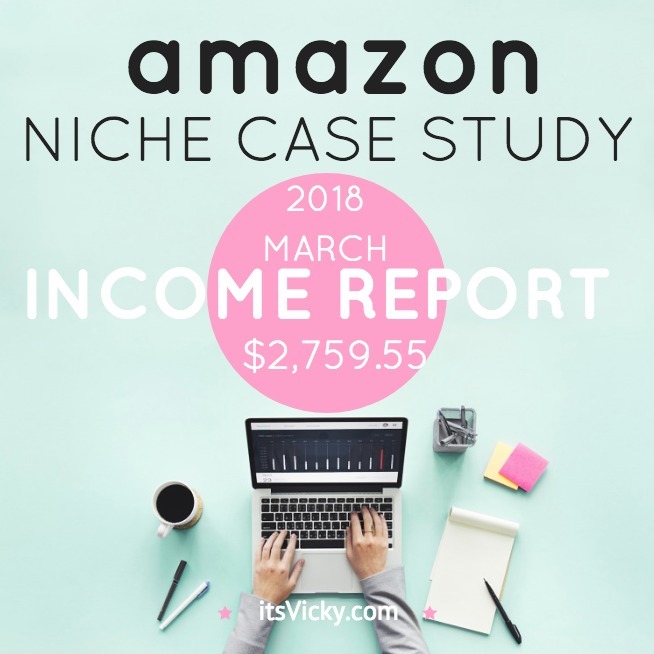 I am in my second month of trying to build out a niche website and this is very encouraging to see your progress. Thanks! Hi Vicky, thank you for the great site and your amazon niche case study. 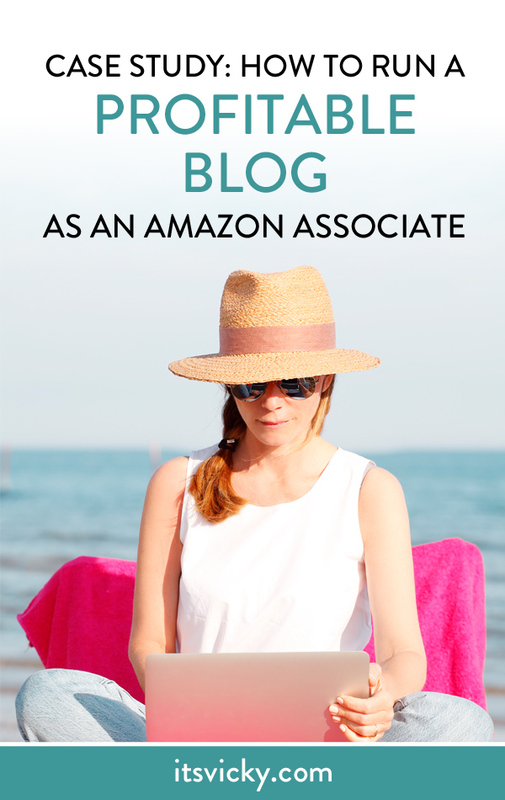 I am an amazon affiliate too but I have never actually used any amazon products on my site. This is a really good idea to get into. Thank you so very much. You are welcome, glad you like it! Yes it can be a great way to monetize a site with Amazon. Takes time but I have high hopes for this site! Vicky, I like your case study and the fact that you don’t use backlinks. May I see your website? What a great case study! I’m learning a lot from this and find it so fascinating to read. 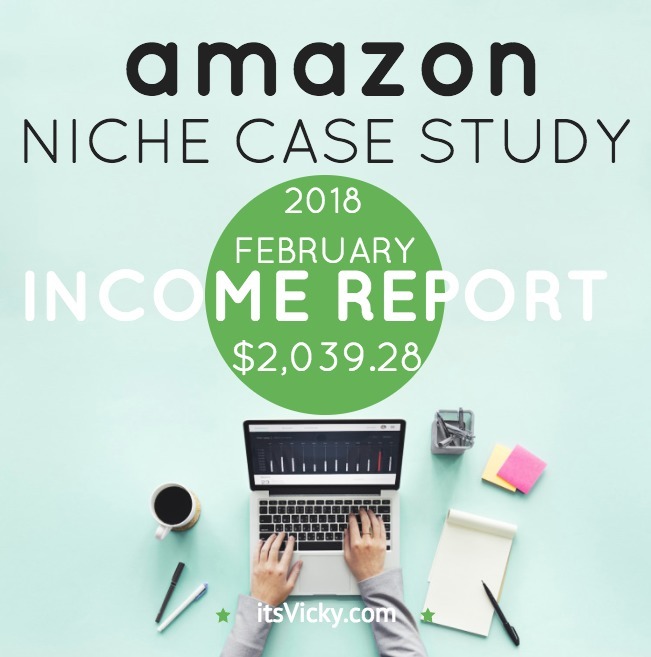 I appreciate you being so transparent on your income reports and your strategy for this site as I’m also building an Amazon niche site and hope I can get results like yours. 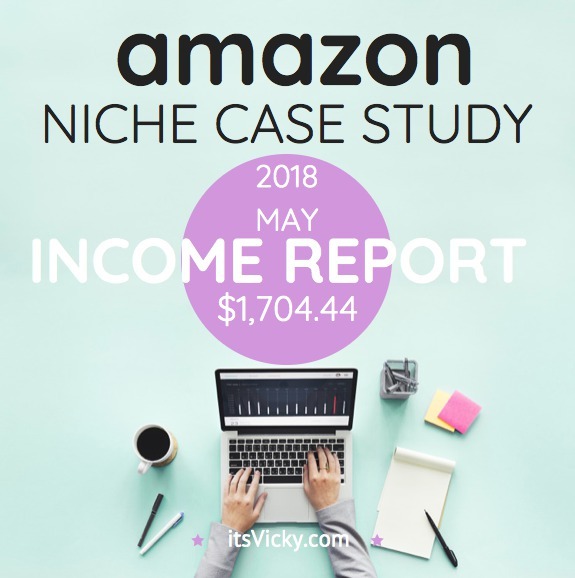 I’m glad you find the case study helpful. To be as transparent, as I possible can is my goal, so others can see the true growth of a site. I like your case study. I have tried Jaaxy for keyword competition but their alghoritm for checking how many pages contain the keyword is a little bit outdated. I mean even if the score is good on the first page, it can be really strong websites and you can’t break the top 10. Waiting your thoughts about how you analyze the competition. Also do you target keywords with a minimum searches /m? What do you mean by outdated? They base the QSR number on competing websites in Google, for a specific keyword phrase. If you are trying to rank for a specific keyword that’s the pages you have to “beat”. For some keywords yes there’s a lot of competition and established websites ranking on the first page. Are there certain sites that can’t be outranked? NO, I wouldn’t say so. Can it be hard to outrank Wikipedia, USA Today and other authority sites depending on your niche, sure. But if your content is good enough it’s not impossible. Today if you have an authority site, like a news paper site like USA today your content will rank pretty easily. The rumor is though that Google is moving towards ranking individual pieces of content based on the specific page and not the site. This could be very beneficial for some trying to rank for difficult keywords. There’s no secret to analyzing the competition. I look at the amount, how many sites are ranking for a keyword and what kind of sites are ranking on that first page. I’m not afraid to go up against authority sites like amazon or Walmart. I outrank both of them for specific keywords with good content. As far as minimum searches, I don’t have a specific number. 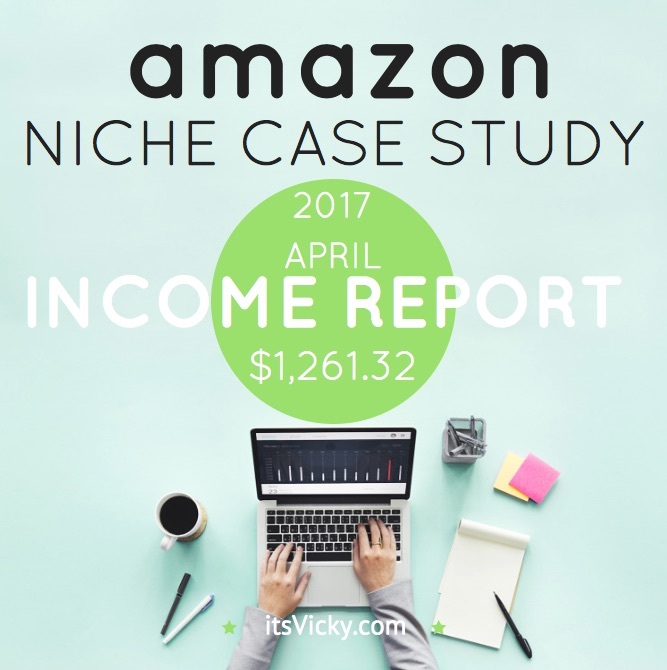 If I think I can rank for the keyword and it has a decent volume of traffic, I’ll go for it. It all ads up in the end. Hello Vicky. I read the introduction to your case study. I was looking for the follow along for the first 3 months and I can’t seem to find it. The first icon I see skips to one year later. Am I just not finding the links or pages? Here are the ones from the first year. Hi Vicky, I just saw your case study and I am really impressed. And I read many of these but I wonder do you use backlinks and what are your thoughts about it? I don’t build backlinks, I let them come naturally. It might be a slower process not building links, it’s just not something I have chosen to spend my time on.